S4C has announced that they will be participating in Eurovision Choir of the Year 2019, as Wales launches their selection process for next years competition. Choirs have until September 28 to apply to take part in Côr Cymru 2019, with Youth Choirs given until October 8. Côr Merched Sir Gâr represented Wales at the first edition of Eurovision Choir of the Year, finishing in second place. The choir was formed of pupils from seven schools in Carmarthenshire. The choir won Côr Cymru 2017 and won the right to represent Wales at the contest. At the contest they performed; ‘O, Mountain, O’, ‘Mil harddach’ and ‘Wade in the Water’. The host country and city of Eurovision Choir of the Year 2019 has yet to be announced. 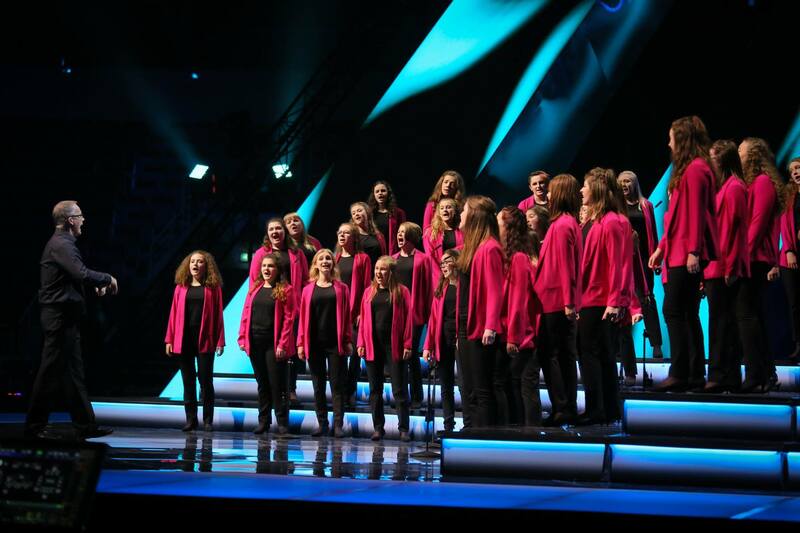 It is however expected that the next edition of the contest will be held in Gothenburg, Sweden as part of the next edition of the European Choir Games. Eurovision Choir of the Year was created by the European Broadcasting Union in partnership with Interkultur, the governing body of international choral singing. Ieva Rozentāle, the Head of LTV Kulturas and the driving force behind the contest confirmed in July that should the contest return in 2019, that the contest would likely continue its partnership with Interkultur. For Gothenburg to host, the competition would have to be staged by the Swedish national broadcaster SVT. SVT have not participated in Eurovision Choir of the Year to date, but do participate in Eurovision Young Dancers and Eurovision Young Musicians. Both competitions are watched by around 100,000 viewers.